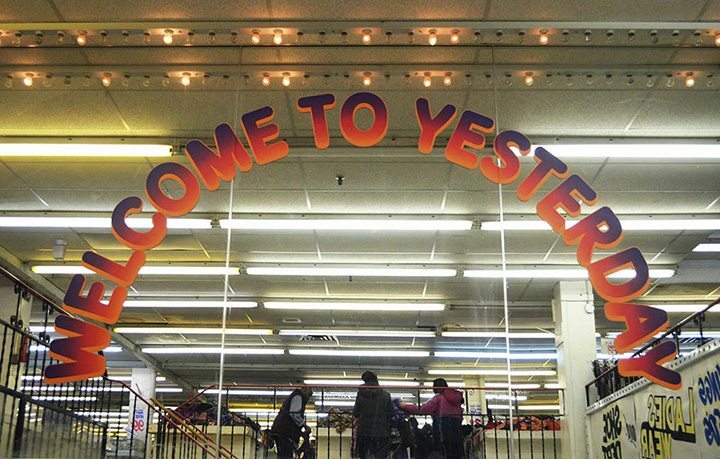 Walking up the stairs, the well-known “Welcome to Yesterday” sign greets customers to a retro-style department store, seen on the mirror at Honest Ed’s east side store in Toronto on March 12, 2016. Ed Mirvish was surely honest with his thrifty prices at his iconic bargain centre. But after 68 years of living at the corner of Bloor and Bathurst, Honest Ed’s will be closing down for good by the end of the year. 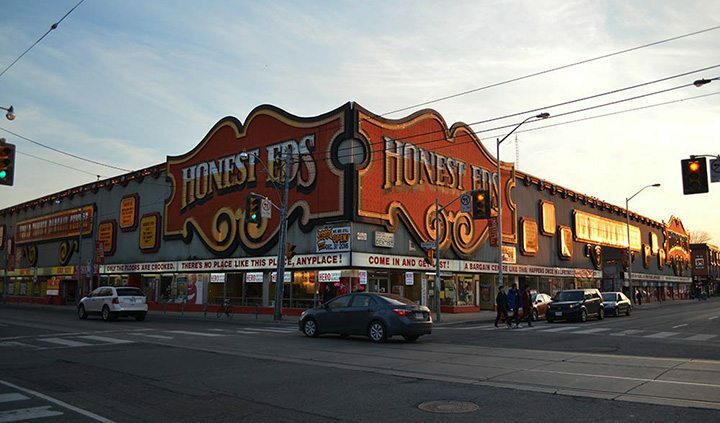 Since its opening in 1948, Honest Ed’s has been a staple for Torontonians in the Annex neighbourhood. It spans a block with an east-side and a west-side store connecting together to create one gigantic bargain bin store. And when the night falls, the saloon-type marquee illuminates the intersection for everyone to remember its name. This photo essay depicts the atmosphere left behind from the store’s most thriving days. 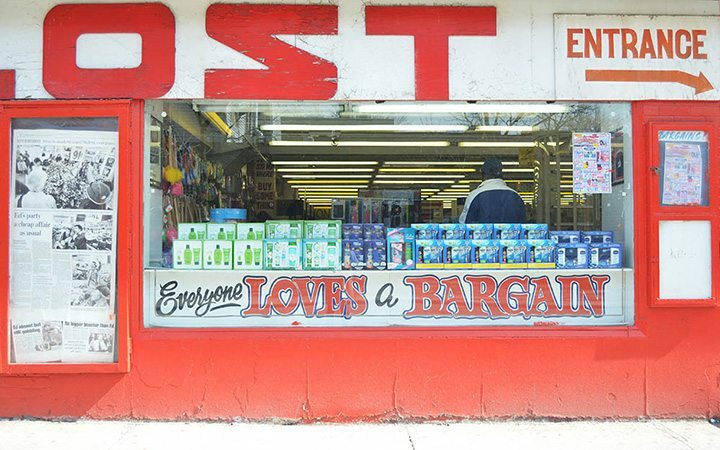 Today, Honest Ed’s boasts a melancholic interior. Illustrating the flaws and damages of the building’s structure, these photos demonstrate that the store of yesterday has not kept up with the present times. Yet, customers are still appreciative of the place when they come out to support the annual Thanksgiving turkey giveaway or rush to purchase iconic hand-painted signs as collectables. Honest Ed’s will officially close its doors on December 31, 2016. Then, another chapter of this corner in the Annex will begin, starting with rental housing plans and public markets. The signs of Honest Ed’s begins to light up as the sun starts to set for the evening at the intersection of Bloor Street and Bathurst Street in Toronto on March 27, 2016. As customers approach Honest Ed’s Markham Street entrance, the bright red exterior shines under a sunny Saturday morning, in Toronto on March 12, 2016. 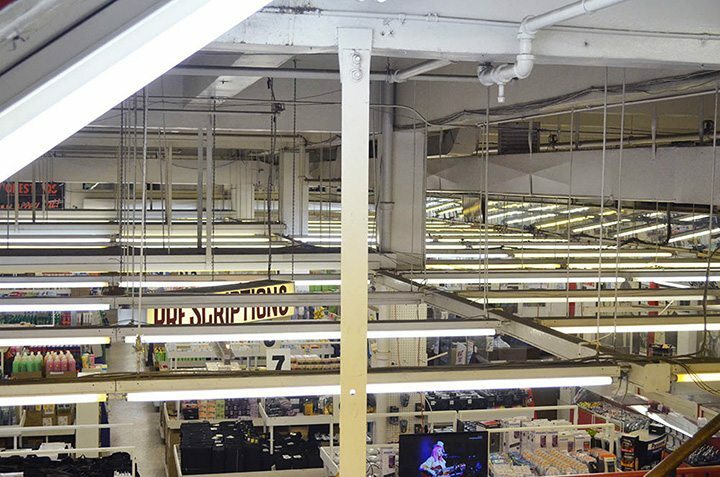 A view of vintage-style fluorescent lights hanging above the bottom floor of Honest Ed’s east side store in Toronto on March 12, 2016. 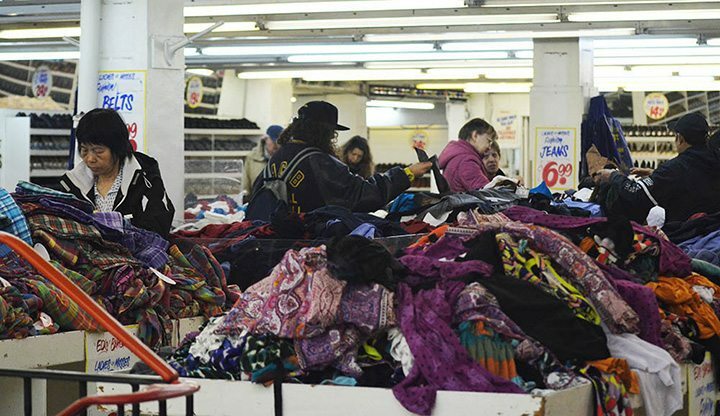 People young and old shop in the messy pile of clothes on sale on the second floor of Honest Ed’s east side store in Toronto on March 12, 2016. 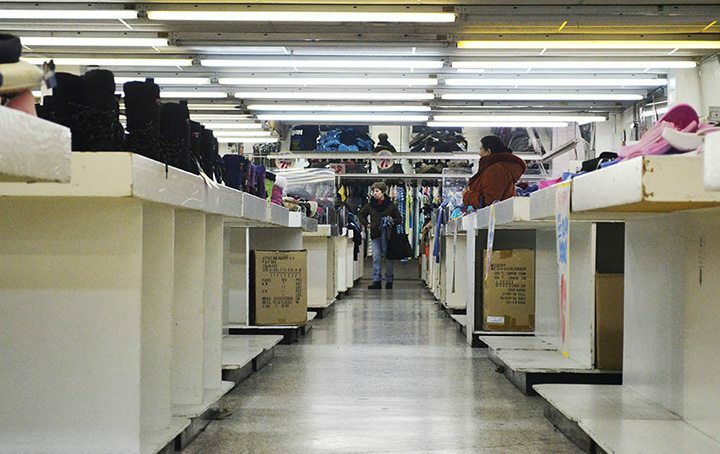 A woman walks down an aisle of empty bottom shelves as she searches for clothes and footwear at Honest Ed’s east side store in Toronto on March 12, 2016. 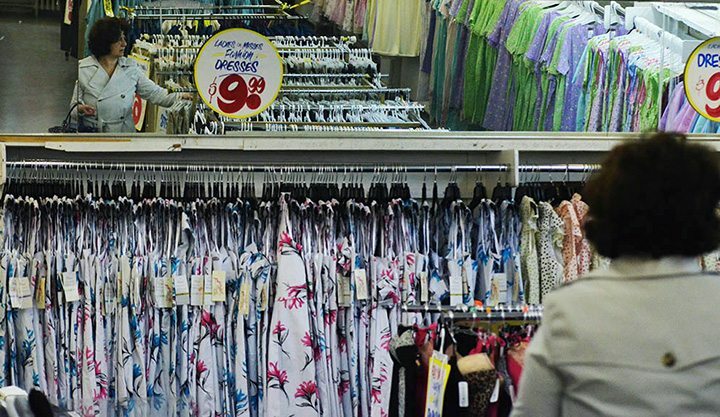 A woman shopping is reflected in the mirror above a dress section somewhere in Honest Ed’s east side store in Toronto on March 12, 2016. 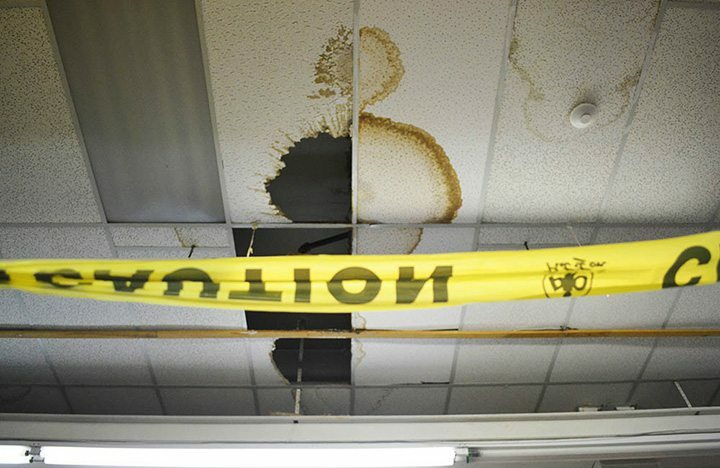 Caution tape is placed below a gigantic hole in the celling that’s leaking on clothes somewhere in Honest Ed’s east side store in Toronto on March 12, 2016. 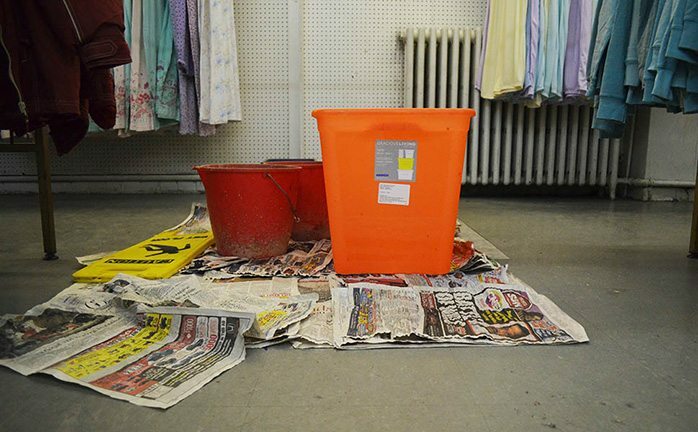 Buckets, newspapers and a wet floor caution sign is placed below the leak in the ceiling to catch the water dripping in between the clothing racks somewhere in Honest Ed’s east side store in Toronto on March 12, 2016. 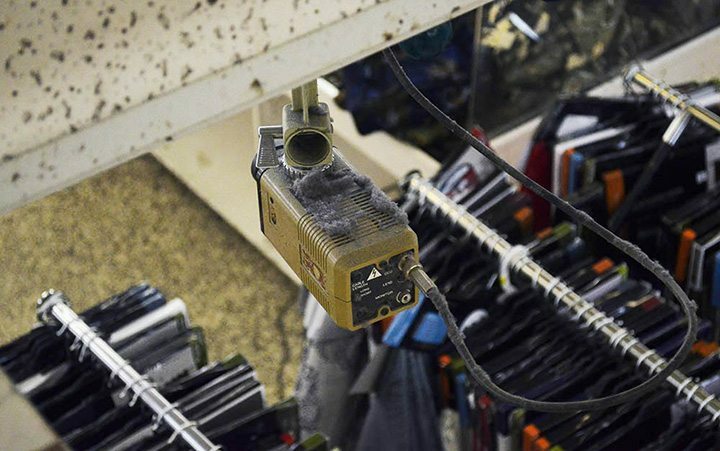 Dust bunnies collect on top of an old security camera on the second floor of Honest Ed’s east side store in Toronto on March 12, 2016. 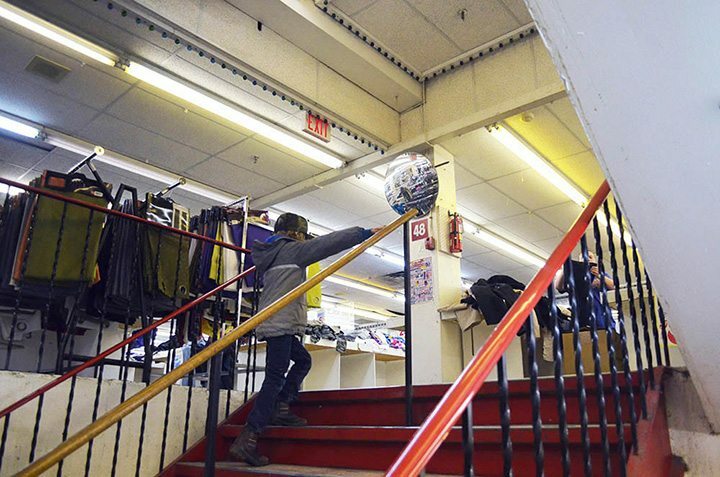 A boy climbs the stairs up towards the second floor of Honest Ed’s east side store in Toronto on March 12, 2016. 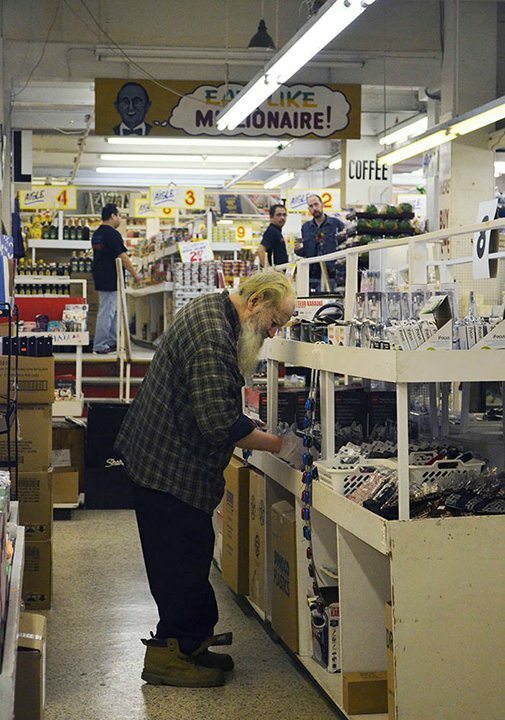 An elderly man shops for supplies at the bottom floor of Honest Ed’s east side store in Toronto on March 12, 2016. 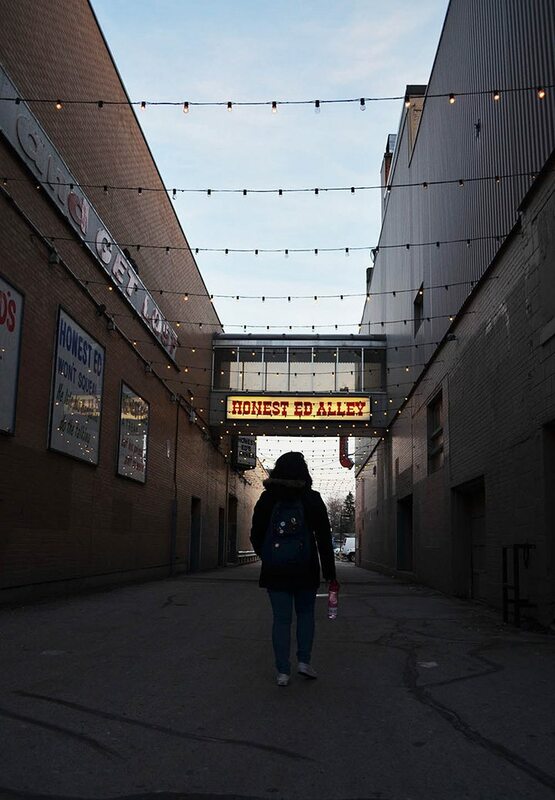 While the sun sets for the evening, Isabelle Docto walks through the well-known Honest Ed’s alley that connects the west side and east side stores together in Toronto on March 27, 2016. 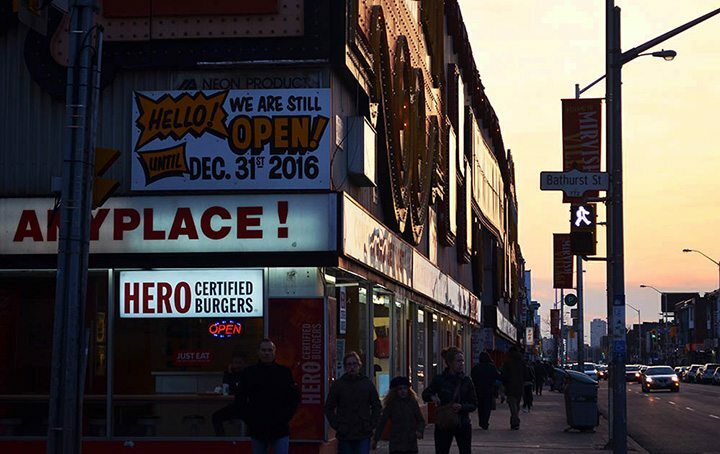 As the sun sets, a sign remains alongside Honest Ed’s gigantic logo, telling customers that the store is still open until Dec. 31, 2016, as it anticipates to close down permanently by the end of the year at Bathurst Street in Toronto on March 27, 2016.